This statistic shows the results of a survey conducted in the United States in March 2017, by age. U.S. adults were asked if they could imagine themselves using an app to relieve stress/promote inner peace through meditation, light yoga or other activities. 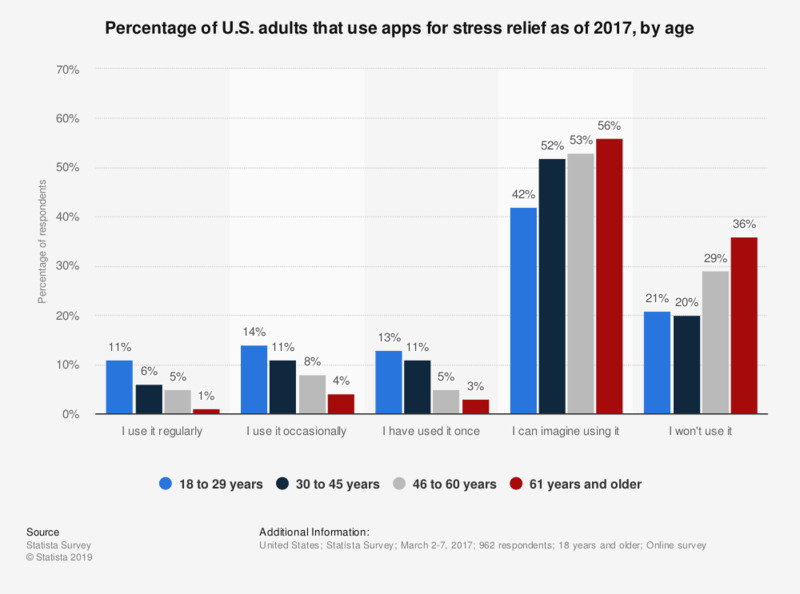 In total, 11 percent of those aged 18 to 29 years used apps on a regular basis to relieve stress, compared to only about 1 percent of those aged 61 years and older.